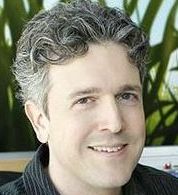 Ford Riley developed and serves as executive producer of Disney’s highly anticipated animated television movie ‘The Lion Guard: Return of the Roar’ and subsequent series ‘The Lion Guard’. Prior to ‘The Lion Guard’, Riley created and served as executive producer on Disney Junior’s Emmy-nominated animated series Special Agent Oso. His additional credits include ‘Doc McStuffins’, ‘Higglytown Heroes’, ‘Teamo Supremo’, ‘Teacher’s Pet’, and ‘Recess’. Riley also developed the television series ‘Land Before Time’, and wrote for Harmony Gold’s ‘Robotech: The Shadow Chronicles’, helping to revive the franchise after twenty years.